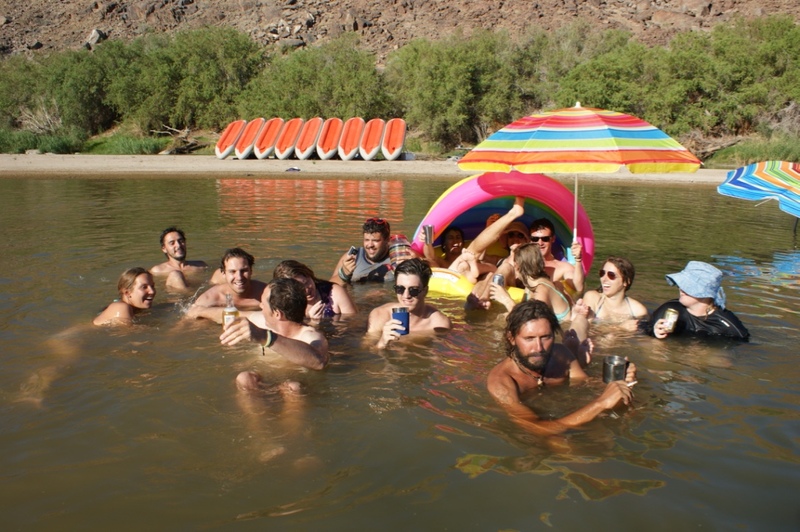 The 3 Day Orange River Rafting for Students is an adventure suitable those with a need for adrenalin and those who crave to escape the city – on a student budget of course! Join us and experience the Richtersveld on an inflatable raft and use the Orange River as a mode of transport. Bring along any inflatable devices you have and let’s make our adventure a fun and colourful one! Explore the only mountain desert in South Africa and let our experienced guides lead you through one of the most striking landscapes South Africa has to offer. The perfect outdoor getaway with fun-filled rapids, hiking, star gazing and discovering the stark beauty of the Richtersveld desert. Sleep under the star-studded skies of the Richtersveld and enjoy fire cooked meals made by your guide. 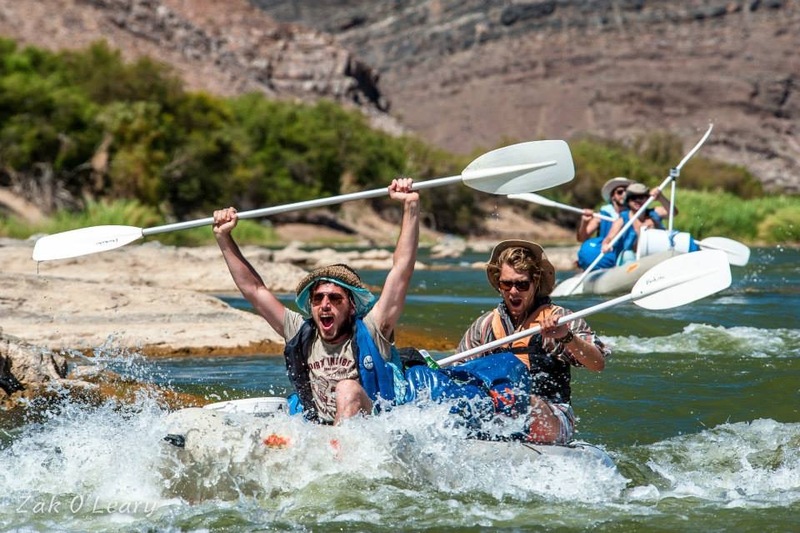 The 3 Day Orange River Rafting is the perfect adventure for those who enjoy a bit of rugged bush living! Day 4 Orange River / Transfer Back to Base Camp (B) – Camping back at base camp included. You will be taken from our base camp, The Growcery, through the Nababeep Community and Richtersveld Community Reserve. Over the next three days, you can expect to have spectacular mountain views, fast-flowing channels and excellent bird life. The River has rapids graded at level 1 – 3 in difficulty and is suitable for beginners. The Orange River is a pool drop river, ‘which means after every rapid, there is always a pool’. The Richtersveld is home to goat herders trekking through the endless desert mountains. We don’t have designated campsites and camp for the day depends on the progress made that day, where we will choose our overnight spot on the banks of the river. This is an excellent combination of rafting, relaxing, hiking and exploring. It is not a race, but rather an outdoor expedition suitable for all with no experience. Our Basecamp, The Growcery, is 22km from the border post inside South Africa. Our Adventure will start in South Africa and end in Namibia. We will then be transported back through Namibia and over the Border back to the Growcery Camp. Valid Passports are required, and no client will be accommodated without their passport. Do I need any experience to join this trip? – No knowledge required. Is there malaria in this region? – This is a disease free zone. How far is this trip? – 45km depending on the water levels. How big are the groups? – a maximum of 24 people per group. What is a scheduled Departure?– These are confirmed departures with open groups and anyone can join. Camping equipment, tent, cutlery, crockery etc. RATES INFO: Minimum 30% Deposit secures your spot. Our River adventure starts with a scrumptious breakfast this morning. Our guides will brief all our paddlers on how to pack their two man inflatable rafts for the next 3 days of river rafting. We leave all our vehicles and mobile devices safely at base camp and start our adventure anything from 9:30 – 10: 30 this morning. The next few days will be along the banks of the Orange River. We explore the magnificent Richtersveld Desert and embark on the adventure of a lifetime. An early wake-up call we enjoy our last breakfast on the banks of the Orange River, before making our way to our collection point. All depends on the water levels on how long we will paddle before the take out. Please don’t make any fixed arrangements to depart earlier than 2 pm from our base camp. Our Take out times will vary from 08: 30 am – 12: 30 pm, this all depends on the water levels. Your accommodation for this night is included.